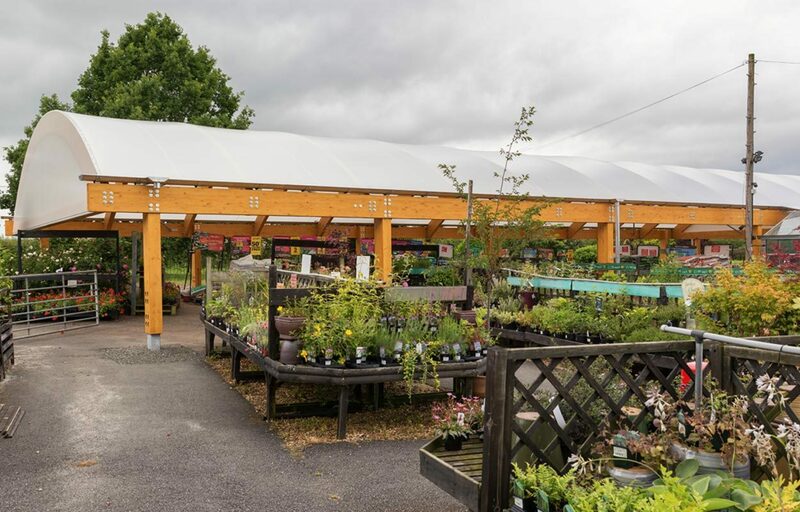 Structural timber canopy fabricated for Radway Garden Centre. 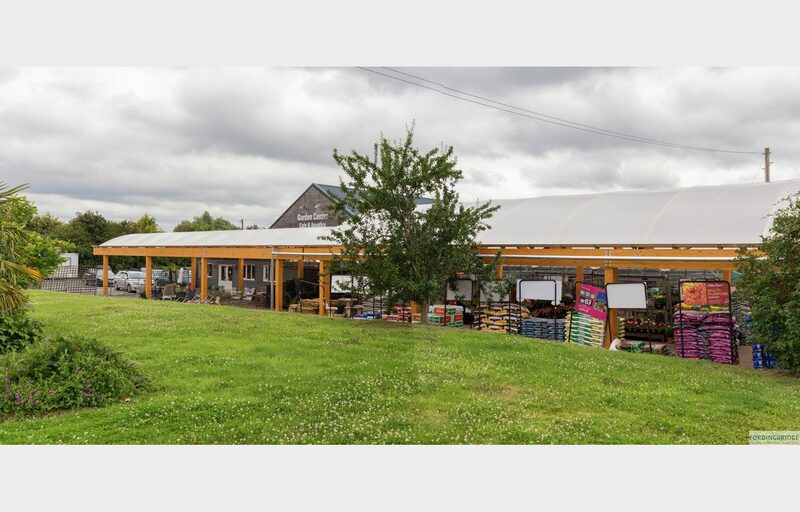 Radway wanted to provide weather protected sales space for their customers so they could enjoy their outside sales area in all weathers. 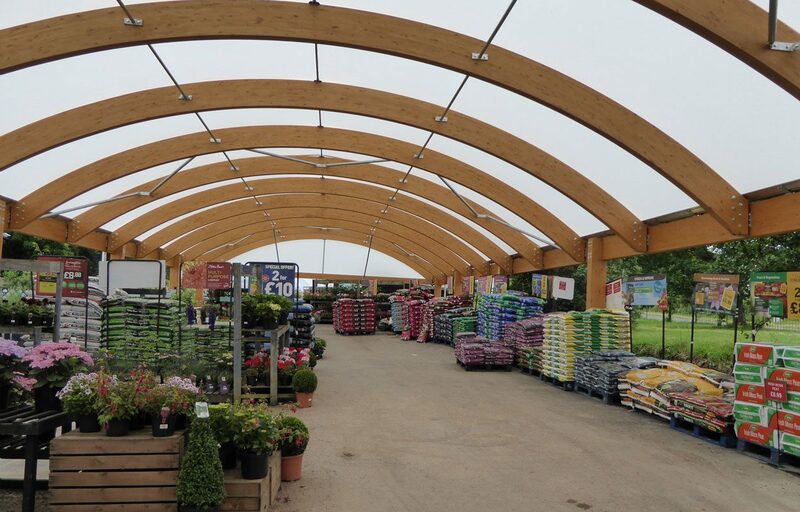 The solution, two structural timber barrel vaulted canopies with Opal 60 roofs for rain cover and UV protection for plants, product and people. 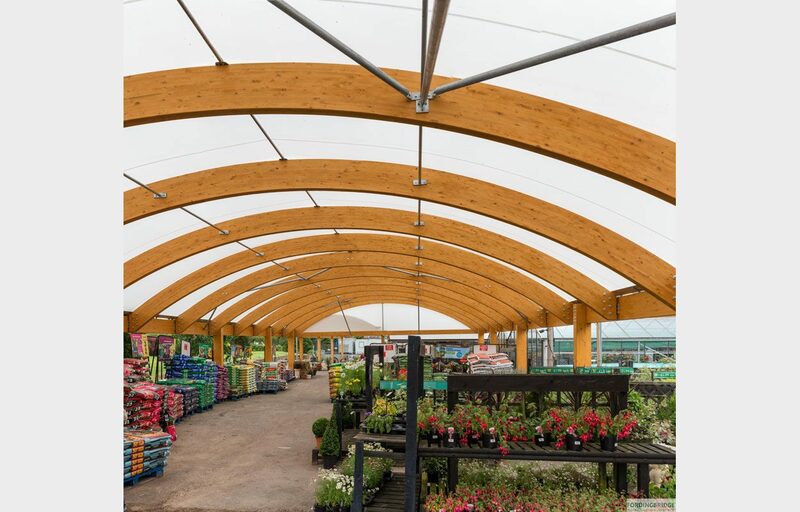 One canopy was 9.5m long x 7.5m span and the other, 31m long x 12m span. Two canopies were used due to the layout of the site and allowed more covered area. 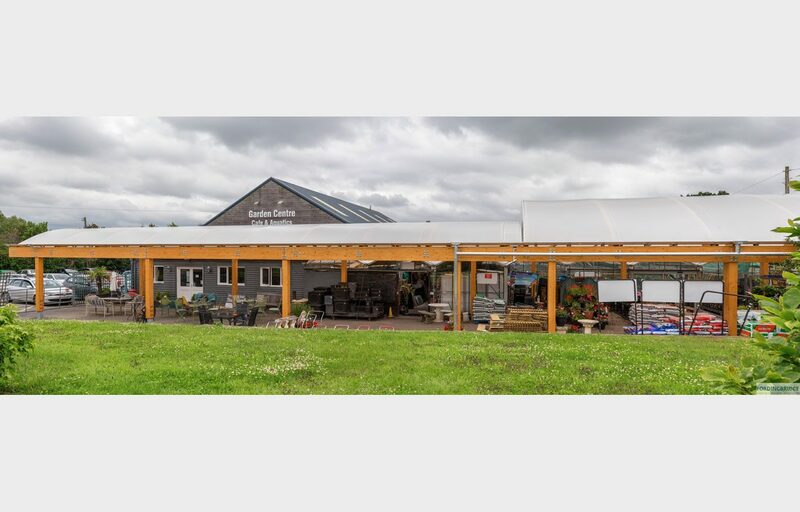 To provide drainage, mill finished gutters and rain water pipes were fitted as standard. The structure will be guaranteed for 25 years.